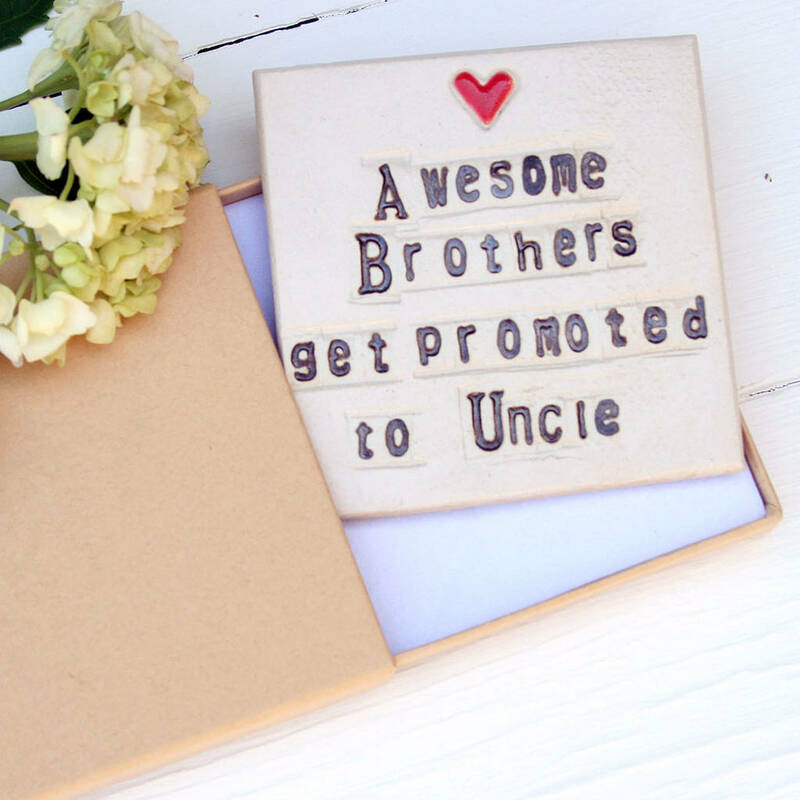 A lovingly made ceramic coaster, the perfect keepsake for your Brother. A great gift to give as a reveal of a new addition to the Uncle to be. This product will come with a beautiful matching ribbon and has foam feet to protect your worktop. 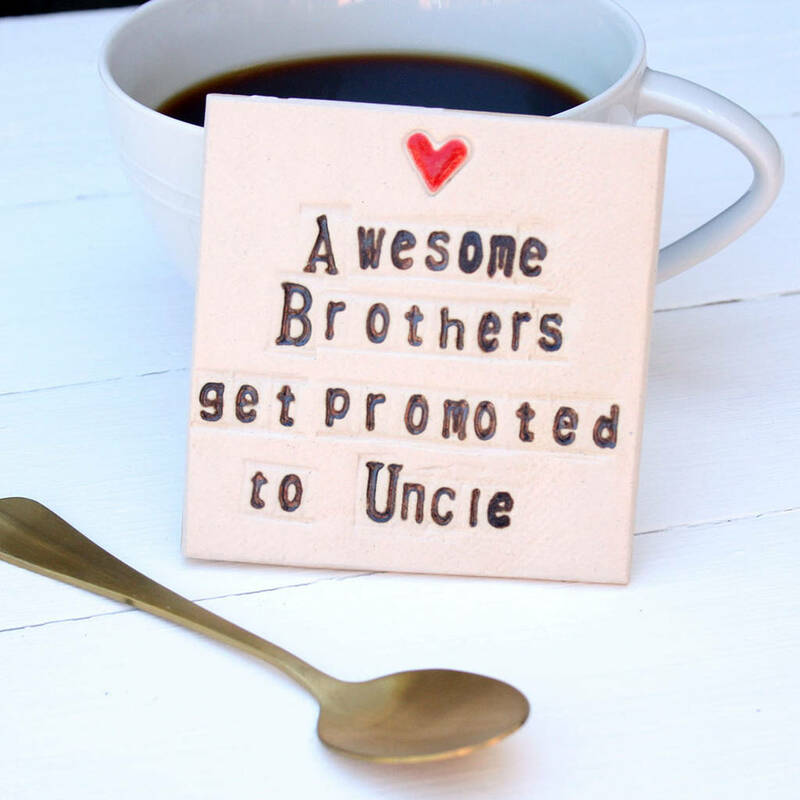 Option to choose between standard text, 'Awesome Brothers get promoted to Uncle' or 'Personalised Text'. If you would like to change any of the text on the coaster, this is classed as 'personalised' Please ensure 'Personalised Text' is selected from the drop down menu and ALL the text you require is entered into the text box. 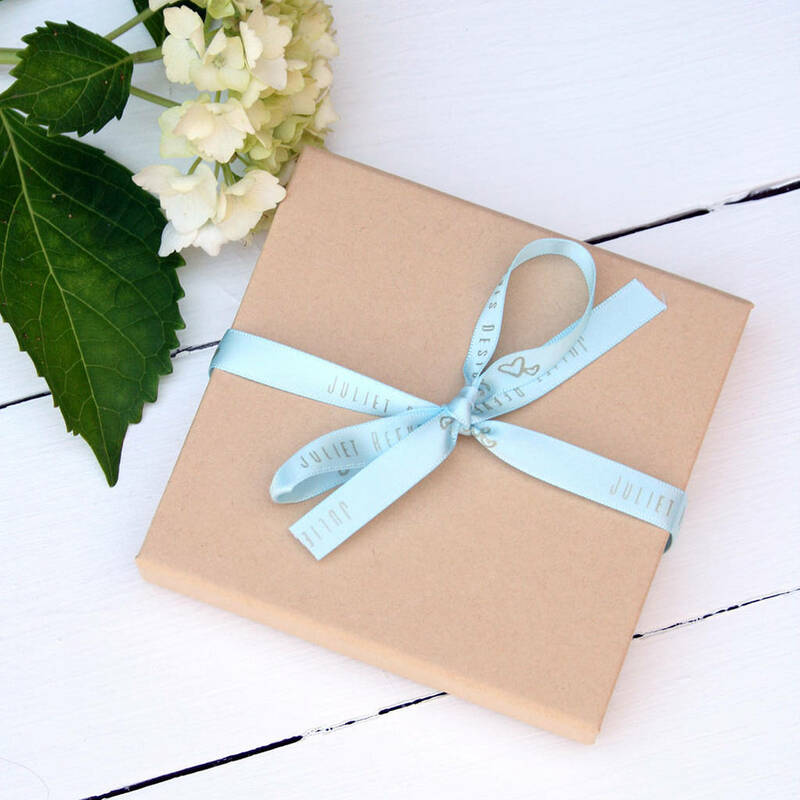 Any text entered into the box without 'personalised text' being selected will not appear on the item and a standard coaster will be sent. 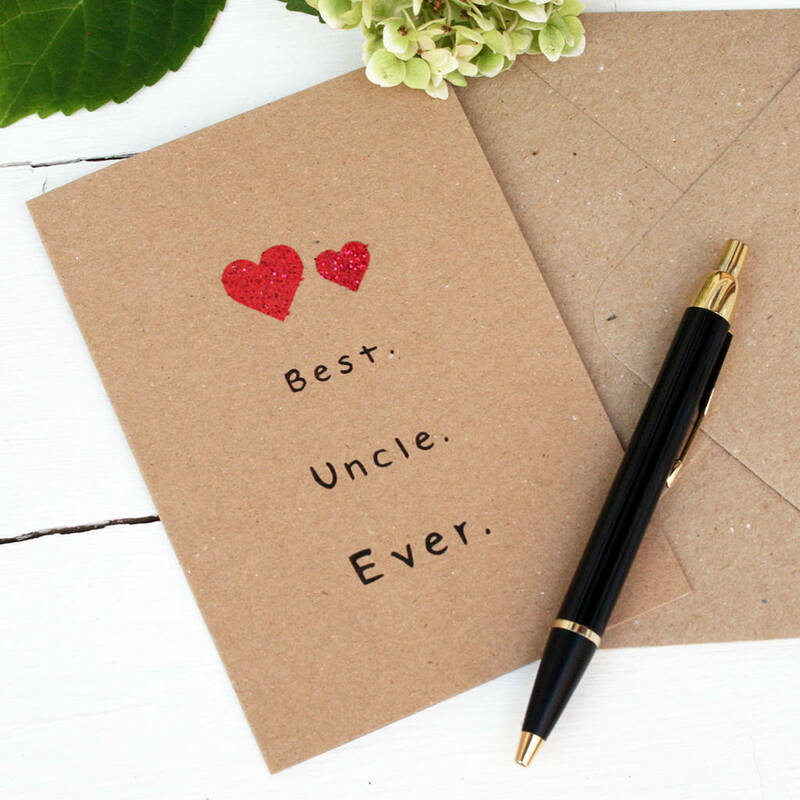 Please note personalised coasters are not available for Express Delivery. If this is selected approx 3 days will be added to the estimated delivery date. Stoneware clay and glaze. Handmade and designed in Britain.